Two New Official Spider-Man Images? 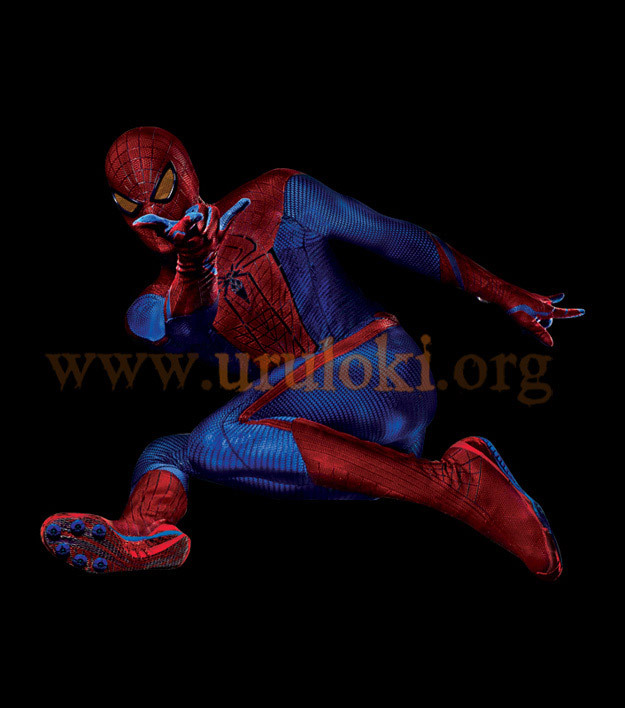 Uruloki has posted what appear to be two new images of the costume for The Amazing Spider-Man (view below) along with the statement that not everything has to be on SuperHeroHype. Well, the reason we haven't posted them is because they are not official artwork that was to be released. Talking to Sony Pictures today, the studio confirmed to us that the images instead are style guide material for their promotional partners. While it looks like one of the promotion partners may have leaked them, and even though the pics look quite good, they shouldn't be considered official images for the movie. The Marc Webb-directed film is in post-production for a 3D, 2D and IMAX 3D release on July 3, 2012. The anticipated film stars Andrew Garfield, Emma Stone, Rhys Ifans, Denis Leary, Campbell Scott, Irrfan Khan, Martin Sheen and Sally Field.